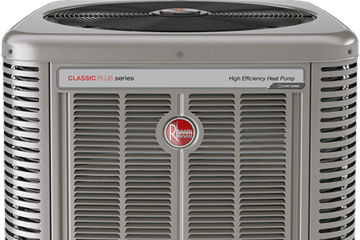 We provide professional Heating and Air Conditioning sales and installation to the greater Richmond KY area. We are licensed and insured and have an A+ rating with the BBB. We offer truly superior heating and air conditioning services. We appreciate our customers and there is a reason why they choose us every time. Check out our reviews and you can understand the difference that having a quality Servicer and Installer on your side makes. Easily the favored Heating and Air Specialists in Central Kentucky. We are a full-service heating and air conditioning company serving Richmond, Central Kentucky and the surrounding area. We service and repair all brands of heating and air conditioning products including air conditioners, furnaces, heat pumps, and all heating and cooling equipment. Our trained and experienced HVAC technicians are here to help you on a wide range of heating and air conditioning services including repair, servicing, installation, and replacement of older equipment. Hot outside and need air conditioner repairs? There are few problems more annoying than that! Our team of HVAC technicians is here to help you diagnose the problem with your air conditioner, find the most efficient/cost friendly solution and fix your air conditioning problems. Are you shivering inside your own home? That’s not right! Let us help you solve your heating problems. No matter what brand our heating and air techs are here to help you resolve your heating repair or furnace installation issues in a fast and cost-effective way. Need Air Conditioner Repair or Furnace Repair? Look no further. Our HVAC experts at 1ST SERVICE HEATING AND AIR are here to help you today. We have the training and experience necessary to handle all sorts of heating and air conditioning issues for all brands of heating and air equipment. We’re not limited to repairs either. Our HVAC technicians can help you with repairs, service, maintenance, replacement or installation of heating and air conditioning equipment for your home or office. Call us today! Looking for an install of New Heating and Air Equipment or replacing your old HVAC system? We offer truly superior service every time. Our customers choose us knowing they will receive the best in professional installations and repairs. Having quality Technicians and Installers on your side makes all the difference which will provide long-lasting equipment and best efficiency. Check out our reviews. 1st Service Heating and Air is easily the preferred Heating and Air Specialist in Central Kentucky. Ask us about our exclusive 1st Service Double Labor Warranty on all of our installations.